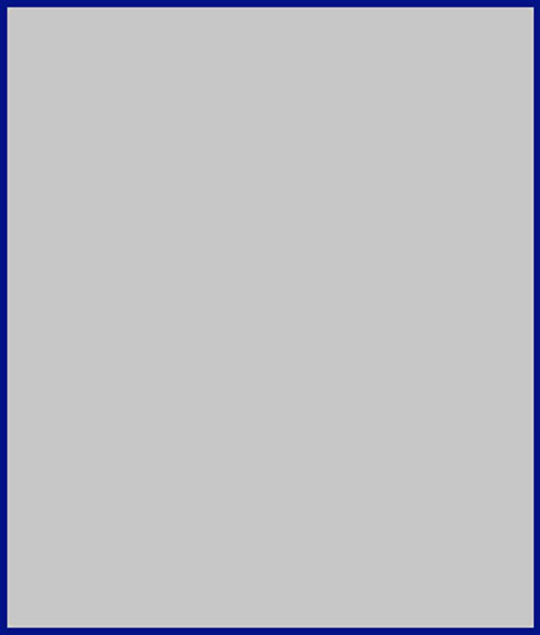 Small Coat of Arms Overpr. 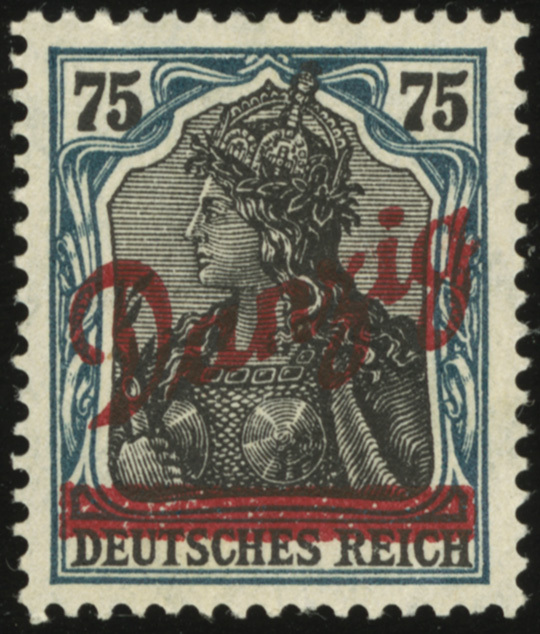 On 20 August 1920, Danzig issued this set of overprints of the German Germania series. 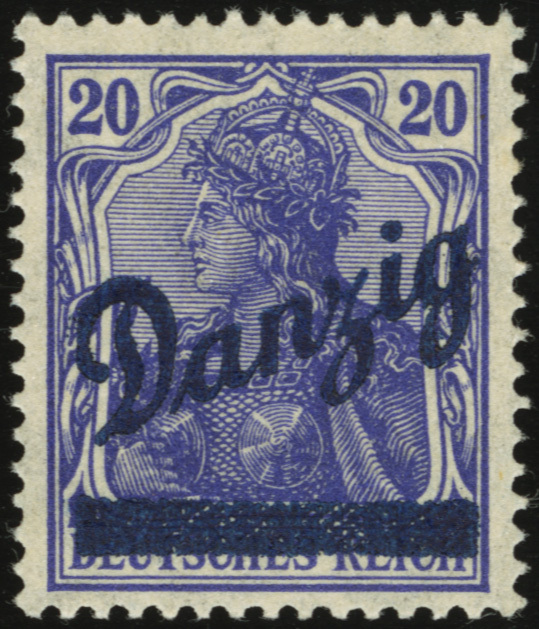 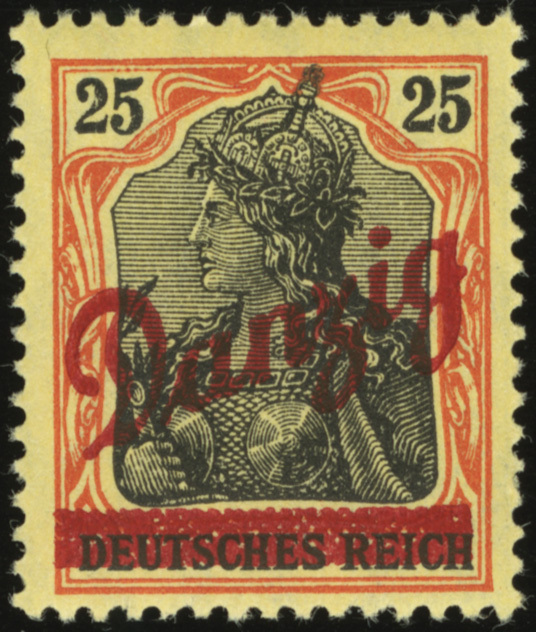 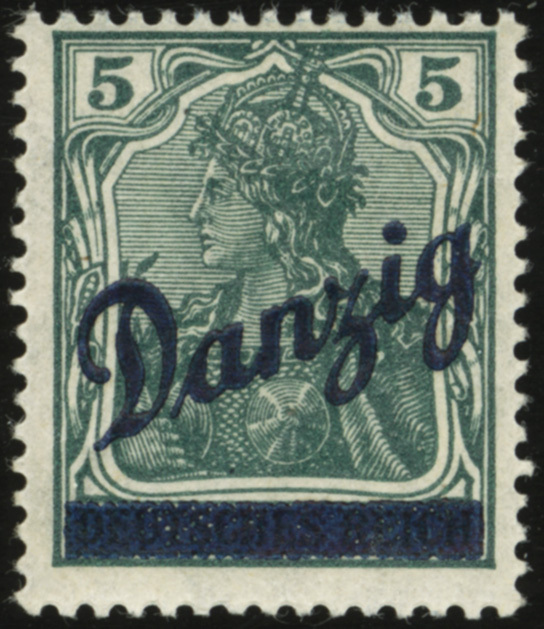 The stamps have a black bar obscuring the previous words “DEUTSCHES REICH”, and a sloping “Danzig” overprint. 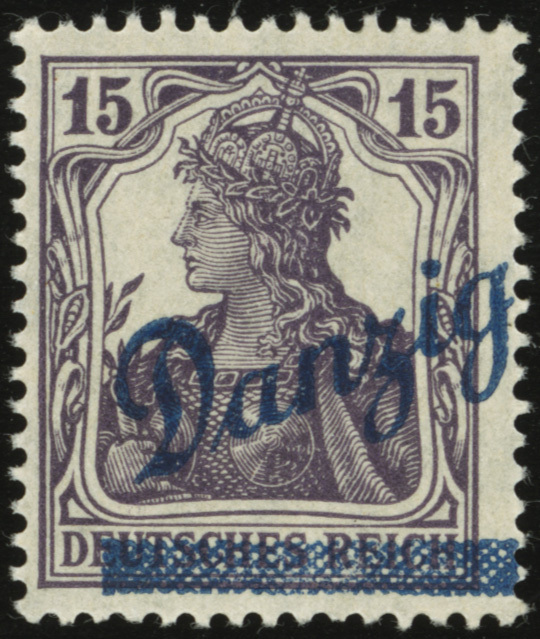 This series is known as the “Schrägdrucke” or “Schrägaufdrucke” (sloping overprints).